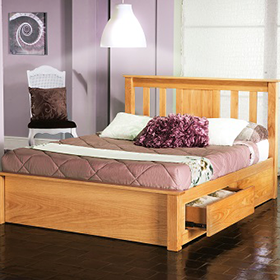 A beautiful pink bed which will delight your child. The Amy Pink Metal Bed is a pretty yet sturdy bed which is perfectly suited to young girls and also has vertical detailing on both the headboard and foot end. Only available in 3' UK single mattress size(190 x 90 cm). Delivered flatpacked - assembly option available. The Amy Pink Metal Bed is delivered in approx. 2-3 weeks.